Filing taxes isn’t one of the most natural things to do. In the process, a good number of people find it full of confusion and even stressing. In 2019, many people are trying to have their taxes filed as fast as possible. Yes! While it is tempting to rush and complete this exhausting process, it would be necessary that you take extra precaution so that you don’t rub shoulders with the tax authorities. A single mistake could lead to increased chances of your account undergoing an Internal Revenue Service (IRS) audit. Below are some of the tax filing mistakes that you must avoid. Every day, there are cases of Tax refunds and scams. Other than the other tax mistakes that you are going to read in this article, you need to be a little extra care and minimize the chances of becoming a victim of a tax scam. One of how you can avoid this is by filing your taxes early. With this approach, the scammers get little chance of getting away with your tax refund. Year in year out, IRS receives several thousands of returns baring wrong Social Security number. Some returns have no Social Security number attached at all. It’s among the most common tax mistakes in the US. Therefore, try and memorize your number. The moment you receive tax forms from employers, the IRS is also supposed to obtain a copy of those forms. Ensure that you include all your W-2 together with 1099 forms from your bank and or your investments accounts. Leaving some of your income out of your return is one way that can make the IRS suspect that you are hiding your income. Some times you don’t get enough time to file your taxes because of other commitments, it’s quite understandable. However, it’s advisable that request for an extension in advance whenever you feel like you will not be in a position to file it on time. Whenever you don’t file in time and at the same time you don’t request for an extension will automatically result in extra costs the moment you are ready to file. Bear in mind; even if you file an extension, it won’t exempt you from paying any taxes you owe by April 15th. The extended duration only allows you more time to consolidate your tax information and do the filing. If you happen to send a check or money order using your tax return, make a follow up to ensure that it gets sent. Besides, see that your name and Social Security number is included. Alternatively, if you do the e-file, you can pay electronically. Electronic payments save you the risk of having your returns at the mercy of the mail carrier. Include all your payment information among them the correct bank information so the payments will clear. Before filing your tax returns, there are a lot of questions regarding your marital status that you must ask yourself. For example, are you single, are you married though filing your returns separately or together? Some people find choosing the right status a bit confusing. Some complications come along with picking the wrong status. Ensure that you settle for the proper status so that you don’t have to pay extra penalties. We have tax software that should help do away with several math mistakes while you file your taxes. However, most taxpayers are still manually filing their tax returns. Committing small errors could leave you susceptible to IRS penalties. In an event where you overstate or understate deductions, you risk overpaying on your taxes. Therefore, you must double check your filing, if possible use tax software. It’s a cheap move that should help you avoid errors and reduce stresses involved in tax filing. 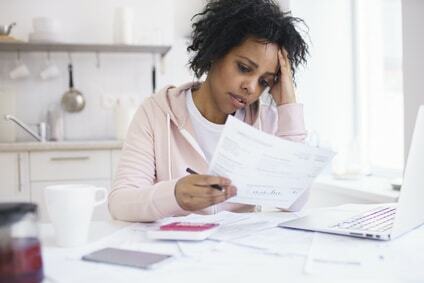 One of the many big mistakes you can make as a taxpayer is to claim too many or too few credits and deductions. Year in year out, taxpayers try to claim tax rebates that they don’t deserve. Despite that, feel free and take advantage of all tax deductions and credits which you qualify to use. A good number of taxpayers take their time and track every cent of tax deductions. That’s so commendable; however, there’s a common mistake by the same taxpayers where you send the return to the IRS, without signing and dating it. Failing to do the dating and singing may not seem like a big deal to you. For the IRS, it is a big deal, and they will not accept your tax returns that are baring no sign and dates. Returns without a signature and date are the same as those that are unfilled at all. It’s a mistake out of ignorance and can attract IRS penalties and interest. There’s no point in waiting for the IRS to send you a tax refund check. It’s possible that the check is deposited in your bank account directly. Therefore, take your time and ensure that you are correctly feeding your bank’s routing number together with your bank account number. Simple typos will likely have your refund sent elsewhere. The official tax filing deadline is April 15, 2019. In case you can’t have your information together in time, file an extension. Beware of the tax deadlines. Missing these deadlines will mean that you get a penalty and interest, which is a waste of money that could have otherwise an avoidable case.